Four of our girls did an excellent job at making it to the finals of the I AM Creative Halifax project. 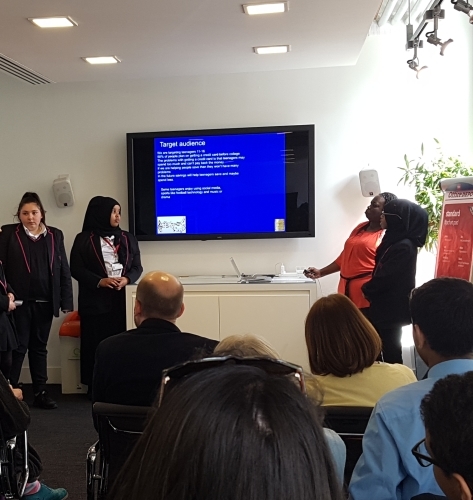 They presented their savings account idea to industry professionals at the Adam & Eve DDB headquarters in Paddington, London. The professionals where excited about their idea and gave them praise on their effort for making it so far in the competition. Well done girls, great achievement!